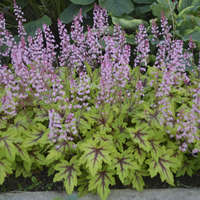 One of the most outstanding perennials in our trials! 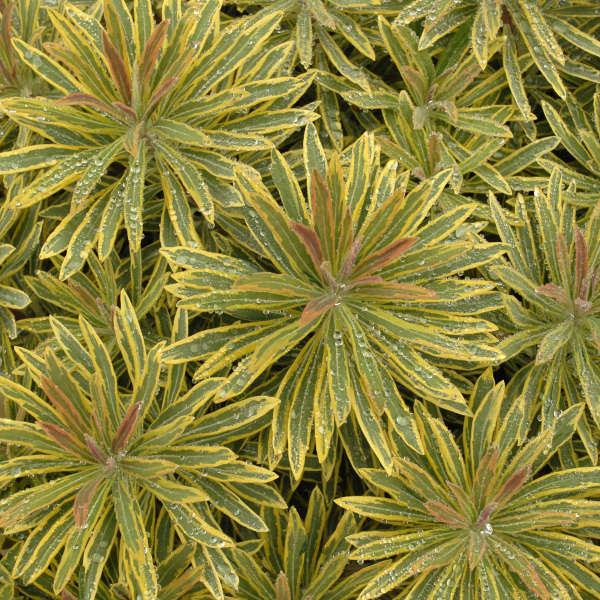 The unique variegated foliage of 'Ascot Rainbow' PP21401 is phenomenal and looked fantastic in our garden from spring through fall. It was selected by the Australian hybridizer for its highly ornamental variegated flowers (bracts) and foliage. 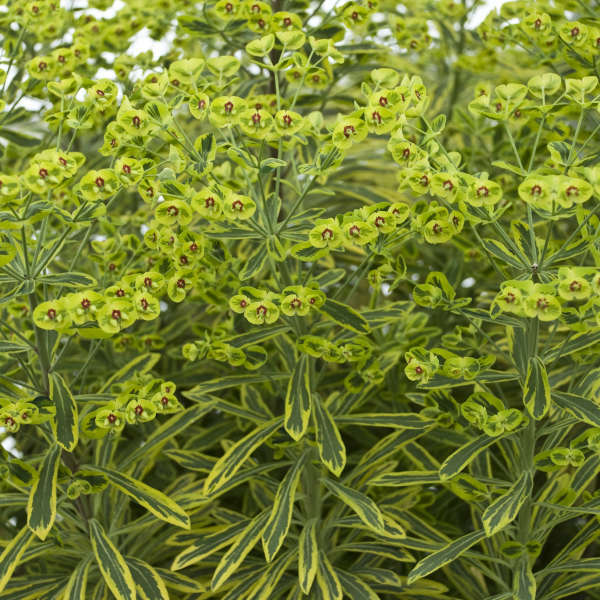 Narrow, grey-green leaves have a striking yellow edge. 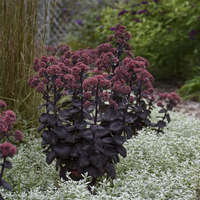 The foliage is topped by clusters of variegated cream, lime, and green flowers (bracts) in spring. In the cooler months, the foliage at the ends of the stems becomes flushed with shades of red, pink, and orange. In our location near Lake Michigan where summer temperatures are a bit cooler, a bit of the pink coloring remained all summer long. We did not observe any reversion in our trials. Overwinters well in zone 5b with excellent drainage. 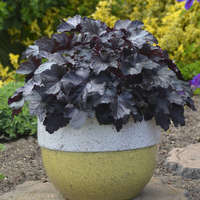 This plant would make a fabulous specimen in a brightly colored patio container and will undoubtedly add flair to the garden. As an added bonus, it is highly heat and drought tolerant. 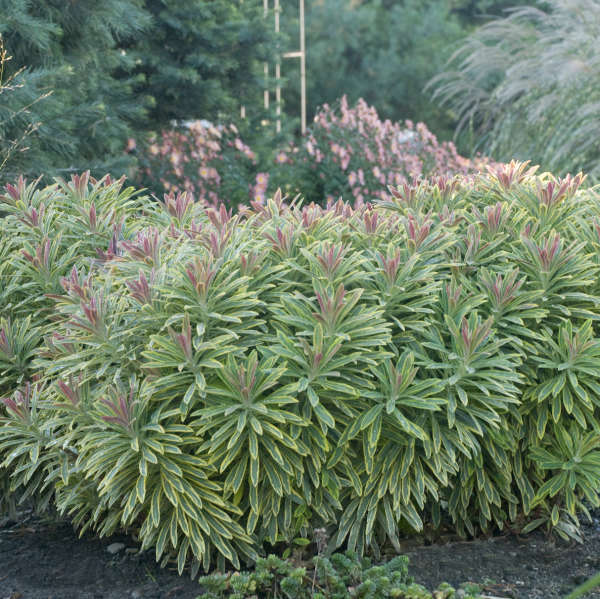 In cooler zones, Spurge grows well in full sun. In warmer regions, it is best sited in part shade, avoiding afternoon sun. It prefers average, well-drained soil. 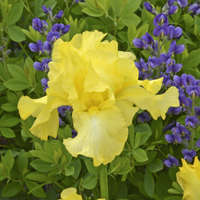 'Ascot Rainbow' typically does not need to be cut back after flowering. At the end of the season, it typically remains standing through the fall into early winter. It is one of the last perennials to go dormant. Cut it back in early spring before new shoots emerge for a better flowering performance. Use caution and wear gloves when handling this plant; it is POISONOUS if eaten and the sap can be a skin and eye irritant. 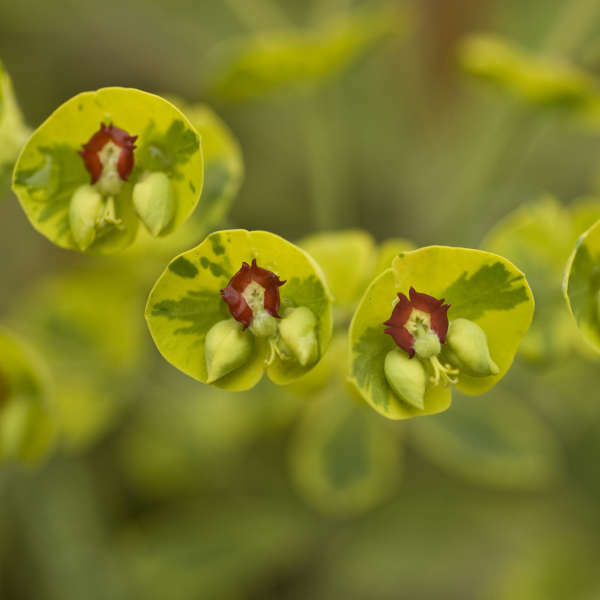 Perennial Euphorbias are in the same family as Poinsettias.